Kids of all ages explore and experience the world around them with their senses. According to Good Start Learning, “providing opportunities for children to actively use their senses as they explore their world through ‘sensory play’ is crucial to brain development – it helps to build nerve connections in the brain’s pathways.” Fortunately, you can begin providing opportunities for this type of play even when your child is a baby. Keep reading for a few ideas on baby sensory activities. One aspect of sensory play is allowing your child to experience unique textures and other tactile sensations. Water beads are made of a super absorbent polymer (SAP) that swells when exposed to water. What start as tiny beads grow to the size of a marble by absorbing water. It is exceptionally tough to describe what water beads feel like but most infants and children seem to love them. There are a variety of baby sensory activities you can do with water beads. You can help your child practice moving objects from one place to the other, finding objects in a bin of water beads, or simply letting your baby run their hands through them. While they are non-toxic, it is still advised not to allow your child to play with these beads without careful supervision. Utilizing a baby led weaning style approach to the introduction of solids can provide new baby sensory activities every day. Since your child gets to choose what foods they would like to investigate. It engages their sense of sight, touch, and taste as they consider the various colors, shapes, textures, and flavors of the cuisine provided to them each day. Thinking of mealtimes as an opportunity for sensory play may provide added motivation to expose your baby to more diverse food choices. 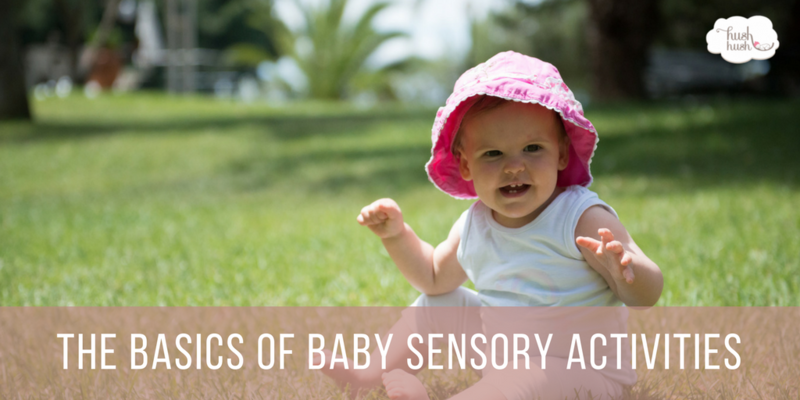 Believe it or not, nature provides some of the most comprehensive baby sensory activities. Think about it. In a typical day outside, a child can encounter sights (grass, trees, animals), sounds (birds chirping, the wind through the trees, cars driving by), smells (fresh rain, cut grass, food being cooked), and tactile sensations (wind, grass, dirt/mud).There are a variety of activities that can be done just by visiting a park or spending time in your backyard.